Some characterize directors as egoists. 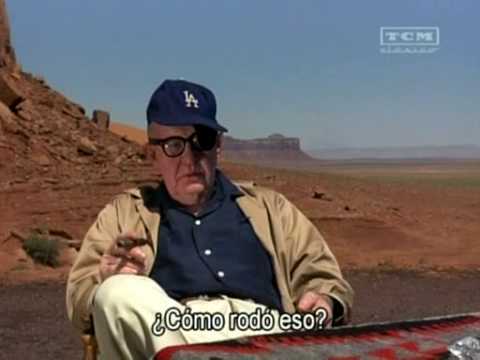 They could be right, until they watch this interview with John Ford, conducted by Peter Bogdanovich (director of “The Last Picture Show,” which I will hopefully have a review for later this week). The interview is so insightful because there is absolutely no insight provided by it. Is Ford being rude, or humble. Is he arrogant, or self-conscious? I usually don’t take much credence in what YouTube commenters say, but the discussion on this video is surprisingly toned down and intelligent. Take a note from that, Internet. This entry was posted in John Ford, Peter Bogdanovich, Western, YouTube on March 23, 2012 by ian0592.